Here it was Easter Sunday and Lady Nada gave in her message that this would be the last Religious Easter, celebrated as we do now. Yeshua gave the message of his life as an ideal to follow not to worship and that we are all The Way, The Truth and the Life. Although we had a somewhat smaller in person attendance as several of our regulars were unable to attend, our phone audience continues to grow. Tomorrow is our 2nd Wednesday group and would love for as many as possible to join us either in person or by phone. If you are planning to attend either tomorrow or our next Sunday PFC group and have not yet RSVP’d, please do so as it helps in our record keeping and knowing who to expect for attendance. Next Sunday is our 1st of the month joint session with Hollow Earth Network over Blog Talk Radio. Sananda will be with us as will Arabella through Sue and of course our always robust question/answer session with OWS and Ashira. We are in the process of firming up who will be joining us at our next Advance in the cool Pines in the AZ mountains the last weekend of May. We have been receiving hints about what we might expect as well as I am already receiving info about what experiences we may expect. 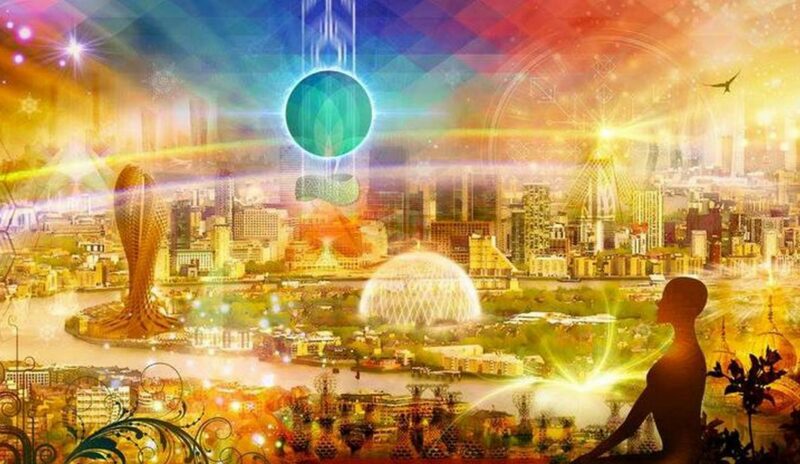 We are being prepared for the final wave in June so that we might be of assistance to those newly awakening and be ready to either continue our missions or begin as well as advance our own Ascension process. Enjoy and Be in joy and Victory of the Light! This is “Yeshua”, the one who you know as Jesus and I am also “Sananda”. I have been with you many times in this group. Many times I have to share with you. Today that I come now is a day of rejoicing, a day of rejuvenation. Yes, a day of resurrection. It is not my death so long ago and its subsequent resurrection that is celebrated this day. It is the light. It is the light that I share. It is the light that I show to each of you, to all of you. To care for all of you. I did not die for your sins. That is a fallacy. I came to live that you might live. So that you might raise up into the higher heavens of your own being. This is what I came for. To prepare and to show you the way. Show you the ideal. To be the ideal that you would follow. Not to be an idol. I do not wish to be worshipped. I wish to be followed as a life, as a life-giving love. I am the embodiment of love. Just as you are the embodiment of love and light. You have never not been. Nor has any one else on the calzoncillos calvin klein baratos entire planet or in the Solar System or in the galaxy or in the very universe itself. Yet it is true that sometimes ones lose their way. They stray far from the rest of the herd. But all of you, even if you have strayed here and there, you always come back to the flock. I am the shepherd who holds you to me, keeps you new and dear to my heart. See, you and I, we are all in this together. I came to show you the way to follow. I AM the Way, the Truth and the Life and You Are the Way, the Truth and the Life. It is all about consciousness, my brothers and sisters. It is all about raising your consciousness and being aware of raising your consciousness. It is all about awareness and improvement of consciousness as you become more aware. As I say, we are all in this together. We are all working toward the same goal. We are to find the love that is in each and every one of us and bring the unity consciousness back into this planet, back to those who reside on this planet. To connect all to the planet, herself. To Gaia herself. To all the plants and the animals. To every living creature on the planet. To connect…just as of old. Those times when I came as “Yeshua,” those that were around me were not yet ready for the messages that I had to bring. They were not ready for the ideal that I showed them. But you, my brothers and sisters are ready! Each and every one of you are ready for this. Even if you do not believe, as of yet, that you can ascend into the higher heavens of your being, you can, you are and you will. .
You have heard, many times now, that many of you have ascended. But yet, you do not feel as though you have ascended. You have not raised up into the clouds as I raised up into the clouds as those who were watching could see as I did this. In those times this was necessary to show the ideal. To show the way. To show what was possible. To you now, this is no longer necessary. You won’t raise up into the heavens but don’t feel sorry for yourself. You will rise to the frequencies of your own being. You will ascend. You have ascended. You are just not fully aware yet. But I am telling you now, as many are telling you, there will come a time, a frequency, a certain frequency will be reached when you will awaken one morning and all will change in a twinkling of an eye, in an instant. Your lives, as you know them today, will be forever altered. Forever changed. You are the ones, my friends, my brother and sisters. You are the ONE! We leave you now in peace and love. Know that I have always been with you. I am with you now and will always be with you and you with me. Peace and love be with each of you. I walked the path with ‘Yeshua” many years ago. I was “Mary Magdalene”. We are forever consorts, He and I. We are proud and pleased to be walking beside you. To be walking with you on the path you are on. We know “Yeshua/Sananda” and myself that we are walking beside you. Knowing that you have come already to the end of your pathway for your Ascension process and the next step will be taking place very soon. We thank you and we bless you today. Have a wonderful Easter Day! Greetings to you. “One who ‘Serves” here and ready to move ahead with the program here. And it is a program. It is a process as we have said many times. And you are the program. You are the process. So, kick back and get ready for the show because the show is coming and it is going to be quite the Calvin Klein Espa�a show. We wish to share something with you now. You have come more and more to work with this thing called “the Plug”. Working with the Lemurian Plate and this technology. This technology is beyond your understanding at this moment. You are going to become aware of what it is, how it works and all of these things. This is coming. For the time being understand that it works because it can. Because it is ancient technology. It is higher vibration technology. It is something that you are able to move into and to work with. To be able to have this technology. As this begins to work in your homes, in your bodies know that this is a precursor of the crystal chambers. It is a smaller development of this. Of course, the crystal healing chambers will do so much more than this but it is the beginning of this, it is working with the same vibration. And the vibration is working with the consciousness of the being that it is attempting to assist here. You are beginning to understand the many various ways that this works with. How it works with a vibration or that it works with a vibration. It works with the various consciousness that it comes in touch with. We are speaking of not only human beings but animals and plants. Of various fruits and vegetables and all of this. Even the building materials in your homes themselves. Your home has consciousness. Please understand this. They are made of various items that come together to build a home. They are made from wood and various other materials that have consciousness. Especially for the newer fashioned home, there is going to be a consciousness within them. This “Plug” will be working more and more directly with these homes. With this technology here. OK? We will give much more on this as we move along here. You have questions for “One Who Serves” and “Ashira” who is standing by? Question: I am feeling like my job I can barely stand. Can you give me some direction to help, where I am going? Where you stand is where you stand and where you are going is where you have already been. We are being a bit cryptic here. It is important for you to find your path. To follow your path. You need to let go. Let go of the various things that are plaguing you, that are causing you disconsternation. Is that a word? Allow for the overall process to take hold here. How would you do that, you ask? We would say to find various things in your life that you enjoy. If you find something that can make a little money, can be a financial relief, than follow that. Do that. Do not get stuck in a rut, you might say. For many feel as if there is no way out and they are held there. And this is purposeful for the Cabal that has created the entire situation that you find yourselves in, to be in a dead end job. You do not need to be in a dead end job. What works for you? What is enjoyable for you? Then move into that direction to find remuneration for this. You see? It is there for you. Many are beginning to do that more and more. Now we also want you to understand that you are always to be in the Now moment. Not to think about the future as coming because the future is already here as well. It is all in the process of the Now. So, let go of these things that you are waiting for, you are hoping for, you want to happen. It is already happening. In your jobs there that you are working and have worked, do something different to bring about a new change. You will be ready for these things that are already upon you. You see? As we say things have already happened at the higher level and just need to manifest at the 3D level. At the higher 3D level and even into the 4th dimension. I do not have anything to add. You touched on an area I would have covered. We are not in the habit of giving “x marks the spot”. Question: I believe we do not understand how powerful our intent is. Yes, the one who is speaking is giving us a good path. The more you intend for something to be a part of your life, the more it will be so. The more you want it, the more it will be. And there is the opposite of that for people who don’t want things who think strongly about how much they don’t want something and they draw it to themselves. I agree completely with her comment. The many, many people who are so caught up in what they don’t want in their lives and so they are staying in the same job, the same relationship, the same rut that they have had for a period of time. It is all about the creative process. You have been in the creative process in the 3D realm and the only difference between this and the 4th and 5th D realms is the buffer period. There is a period of time between your thought, your intention and your creative event. That will become less and less as you move into the creative vibrations. Where you are now you have the intention of what you want and then you move toward creating it. So there is a need to move your feet, find a direction that you want and move in that direction. We say, “Go with the flow” but that does not mean to sit back and do nothing! If everyone on the planet just “Let it be” there would be no changes. As we have said many times, you are the change. You are the change you are waiting for so you have to create the change. Whether it is in yourself or for others, you have to create it! If you want a new job, go get it. If you want a new relationship you have to move from the old and into the new. You have to make the movement. It’s a movement of consciousness that is all about awareness here. You are more powerful than you can imagine. Practice using your imagination now. Practice your visualization skills. Do something! Find something to do that is beneficial to somebody. You do not have to be a David Wilcock or Corey Goode of the world. There are many, many behind the scenes that you have no idea of their names. You, yourselves, are those ones behind the scenes. Those who have eyes to see and ears to hear. Is this not what you have been asking for? You want to have an opportunity to look through the veil to the other side. You want to know that you are one with your Galactic family. They are there waiting for you so that you and they can come together at some time in the future when it is safe and good for all. So yes, this is an opportunity for you to have that communication you want. And to know fully and completely that there is an aspect of yourself on that ship, working on that ship, doing the things it does. You will have dreams with this one. Have good dreams and report back what you hear! Yes. And how many looked in the same sky as you, saw what you saw and discounted it. Not to think, as you, that it was something extraordinary. Yes, eyes to see and ears to hear. There are many who would look at that sky and not see anything you have seen. Question: Thinking with the heart instead of the brain. What can you share about this? Always in all ways. Yes. Very much so. Look within your heart. Listen to that small, wee whisper within you. It will never guide you wrong. You have been so programmed to think and to act from the thinking. That is not to say that you may not think. You have to use your brain. You have to think but you have to hear with your brain but listen with your heart. There is a difference here. Question: I had a dream but it was real….Discussed presence on ship. We are so pleased you brought this up because it is a precursor to your next Advance. There is a connection here and you will find it as you are there. You believe it was a dream and it was more than a dream. It was in that state where you are between waking and sleeping. It was very real and very important. It has to do with the 12 of the 12 Tables of the council. The Council you have been a part of and will continue to be a part of if you wish. Many will be involved if they are wishing for it. We wish to add that you ask for these types of experiences and you have one! We are very pleased for you. We see this as a live experience and we would say, ask “Ashtar”. Ask him what you would like to know about this experience and see how he answers you. We believe that will be an interesting experience for you. You will continue to have these experiences. So many in this room are on ship at night. So many in this room are a part of the migration of ships that are coming and going from this system. So many have their own crews that are serving with them. This is not a one and only type of experience. This is something that many, many of you are experiencing. So bring your experience forward when you have it! Question: I am dreaming about falling off cliffs. I am afraid of heights. I am falling in dreams with no fear. We like this dream! Are you ready to jump off the precipice? We are using different language now but your dreams are showing you that you can walk over the edge and let go. Very indicative of the Ascension. Have no fear! The more you can let go and let it be, you will have amazing experiences and all of this. You are here for a reason and it will come. We release channel. Shanti. Peace be with you. Be the One. I am “Ashira”. Wishing you a wonderful Easter today! Thank you for coming along with us today. Thank you for sharing as we serve you. We had another great group although the energy seemed to yeezy pas cher be somewhat subdued. Perhaps all this disinformation and continued coverups are getting to us more than we let on. Now, it is becoming increasingly more important to do as the Ascended Masters have been saying and “go with the flow”. Geoffrey and “The Plug” as he is now calling it has met with a great deal of success once Anne and Hollow Earth Network got into the picture. He said he sold over 200 plugs since our last call with HEN. According to the Masters, this device is of ancient technology and just the beginning of what will be reintroduced to us as the frequencies continue to rise. As always, if you are planning to attend our next PFC Sunday group and have not yet RSVP’d, please do so as quickly as you can. If you are planning to attend via conference call, please check that you are up to date with your monthly dues. We are starting a new weekly PFC group starting on Wednesday March 23rd and will be having our mid month call with HEN this Wednesday (16th) at 6:30pm AZ time. You are welcome to be here in person Wed night for the call (no extra fee) if you would like to partake in the energies and hear first hand Sananda’s message and announcement. I am “Lord Lanto”. I will give a brief description of our contacts over the past numbers of months. Calzoncillos Calvin Klein Baratos It has even been many years for many of us. We are in a good humor today! We come to talk today about the importance of realizing that this 3D world is a duality. A dark and light duality, good and bad….All of those equations that you give credence to in this world. And yet, as you move into the fifth dimension all of that falls away. All of that is gone. We realize on this side that this has been a challenging week for many, many upon the planet. You spoke in the group today of the “Wave” that is coming. The “Wave” is here. And that brings so many various emotions to the surface. So many things that take you off track. And those in the room, on the phone and all those who resonate to the words here given are aware that those on this side hold you dear to our hearts. The importance of realizing duality in your world is staying in tune and staying positive. It is important to see those things that will take you off your course. Those things that can take you to a side view of what is really happening in this world. It is not good or bad. It just is. It is good, therefore, if you, individually can take yourselves, put yourselves on the sideline and allow things to unfold without judgment. Or allow things to unfold in front of you but you not be involved with it. Those of family matters. Those of friendship. Those of the world at large. All of these things are for you to observe. Each has important missions that you will be called to. ropa interior calvin klein barata Some of you have been called already. Each will be called to fulfill your missions outside of this realm you are in now. Outside of the realities that you see now. We who are your guides and your protector, we who are watching over you, we who are watching over you individually in this group, we know that some days have been high for you and some days have been low for you. We watch as you seem to be grabbing at straws while you are trying to figure out who and what you are to be. And yet, as spoken in this group, you feel more and more tired. It all is what it is. What we would say to you is to take each day, our friends, each day in itself. We know that each of you has their challenges. Each of you has your situations that you are working on and trying to move through. We led Geoffrey to you. To help you cleanse your homes, cleanse yourself, cleanse your environment. This is part of removing that which is not for you, easily. Is it not a wonder that his “product” is so inexpensive? It represents tens of thousands of years of technology. These things are important and we will make more available to you. We will whisper in the ears of those at the right time so that you can take an opportunity to use the technology that those will have for you. We are not here to speak of dates and times for you. We are here as your spiritual support. We are here to support you as you move through all of these things. We are here to help you. We know that there are services out there that will tell you the “right” things and there are those that will tell you the “wrong’ things. The best thing you can do is to remain in the middle as the observer. Just watch. Don’t act unless you feel strongly that you must act. You, in this group are very much loved. You are very much being guided and supported. We told you many long months ago that these days were to come. I am here to be of assistance. Put me on your list of those you call upon. Lord Lanto. I am there, anyhow, but you may also call upon me. We are going to bring this to an end today but knowing that we are speaking with you on an ongoing basis. Greetings. “One Who Serves” here to assist in any way we can, we always say. We always enjoy these times that we can be together and we hope you do as well. But understand that we are not just playing games here. We are never to play games. We joke and we have fun but we also want you to know how serious this all is. It is for you to know how in control you are in all that is happening. You, yourselves, you have much to do within this entire plan. It is not just those of us who are here helping but all of you are helping each other. And the more you can work with each other, the more you can work with the various groups and those who bring information, work together. You can see that those who bring information forward and others bring them down, you might say, giving them negative reactions. This is something you do not want to do. You want to be loving toward everyone, everyone, and we speak of those of the Dark Forces as well. We know this is difficult to do. But, love all, love all that are out there. This is what is important here because it is love that is going to change everything. It is love that is going to make the promises, all of this that has been said, make all of this happen. It is the love transference across the planet that is creating this shift, the changes. So, find the love within yourself. Find it for yourself and for all around you. That is not to say that those that push the love away, that they will not have their day. They will. They have already had their time in the sun and now it is time for you to have your time. In terms of those who have held back, it was probably in their best interest to do so, we will say here. They will get theirs but not in the way that you would think. Not in the way of putting them in prison or anything of this nature although that could still happen. It will still happen that many of the things that have been said will come to pass. Things are not always as they appear to be. This is in relation to the election process and all of those things happening out there. They are not always what they appear. We believe that you are beginning to understand this more and more and more. So allow for the process to continue and know that, as we have said before, everything has already happened at the higher levels and only needs to become more fully in your understanding. But it is not the understanding of the 3D world because you are moving out of the 3D world. You are moving up in vibration and that is important to know. Do you have questions now for “One Who Serves” and “Ashira” who is standing by? Question: When the Earth has completed her transition does that put the Earth in a leadership position in the Solar System? The idea of leadership is a three dimensional concept. A 3D paradigm. This is a shift that is going to occur in terms of moving to a point of not having ones in control, we would say. There is never a sense of being in control when you are in service to other civilizations. This is what the Earth is moving toward. Of being of service to others rather service to self. The concept you have here will not be business as usual as we will say here. That is not to say that there are not those in leadership roles and those that are followers. That will continue but it becomes a situation that those who are in their various jobs or whatever they are good at, they are the ones who hold a leadership position in that way because that is there function. You see? Those in the councils as well. They come from many different planets and solar systems within the galaxy. They sit as these tables in the council meetings and they represent where they come from. But they are not leaders or in control, as we said here previously. You see? It is a different understanding that you are coming to and it is part of this shift that is happening here. Very good. Further questions here? Question: For the month of March we know about the eclipse and energy shifts. What can you say about this month? There are so many things happening that you cannot even imagine it at this moment in time. There are so many things happening in all spheres and at the same time. And we know that this group is disappointed that things haven’t happened more quickly. The month of March is full of astronomical and astrological events as well as the “Wave” that Lord Lanto has said is already upon this planet. Be patient, dear one, everything is in its place and everything is set to happen as it has been told. Be patient. Does that answer your question? What is the saying? Patience is a virtue? You are certainly learning that virtue here, are you not? We always wish to come back to this understanding about how long you think you have been waiting here. Some of you think that you have been waiting a year or two years or three years. But you have not. You have been waiting a preparing for this for many, many lifetimes…many thousands of years. No, we have just been told it is not thousands it is millions of years that this whole entire plan has been in the works here. So, to look at it from the bigger picture here and you see it from your point of view it seems like a long time here. But from the larger picture it is a smidgen, a short period of time. But you are living it now and so it would seem larger to you that what it really is. But we can tell you that because of what you have been going through in the past few years when it does switch over, when the shift does happen and you are ensconced within it, you will appreciate more what you have had to go through here. To bring this about. See? Everything is relative, is your saying. Question: I have a question about our 6 month old son who has a breakout of eczema. We are glad to see you in the group again! We are glad you brought this question up. We are glad you brought your son today! It is good for the group to have the opportunity to meet him, greet him and envelope him with their love. This is a soul who comes from a very high plane. This soul is having difficulty in adjusting to being in this 3D world. This is not his home and he is having a challenge in interacting with the energies of the planet as well as those things that are in his home and on his body. We would suggest that your wife continue to follow the procedures she has been following. But she must also look at what she is eating and drinking. She is still nursing this child? Yes. She needs to look at what she is eating and drinking for whatever goes into her mouth, goes into his body and can cause a reaction. Her diet needs to be very clean. Very clear. Anything upon his body needs to be very clean and very clear. And place him in the middle of a circle that you and your wife hold. Place him in the center and send him love, send him energies that will help him build his Merkaba, as James said earlier today. This will give him something that he can embrace himself and use to build his own energies up. This will also reduce the amount of irritation he has with this world. Does that make sense? Other things that will be of assistance here is the idea of the “plug” here, to utilize this. To allow for these higher vibrational energies to be in your home. Especially in your new home. This is important here. That it will help to shift or alleviate the energies that are already in the home and to shift the energies on the planet as “Ashira” has said. Nothing further? Then we are ready to release channel. Know that as you move more and more through these times that you are moving through a shift, through a transition. Each one of you is going through the transition. You are going to feel it increase in terms of the energies and how you feel and work with these energies as they come into the planet. Some of them will be disconcerting to you at times. Periods of depression. Periods of tiredness as you have already been seeing. Other times the energies will elate you. You will feel the joy and the immense feelings that come from these energies. It will be a combination of things. As you are moving forward to the next Advance that you are going to have, there are going to be shifts that are going to be happening along the way, moving up until that time. when you come together to that place that is being prepared for you now. Those who will be there you will have quite an experience we can tell you now. This is all we can say on this, we cannot share more but there will be more that will be given as we come closer to that time. Even more as what occurs in your world until that time, will determine even more what will happen! OK? I am “Ashira”. As always this is a great time to be with you today. As we look at this group we see that your energy is not as high as it has been in past weeks. We hope today has been able to lift you and to give you what you need to move into the coming weeks. These weeks, as has been said, will bring you highs and bring you lows. Stand by as an observer and watch as the actions on parade pass in your life. Do not become involved with them. Do not place your energy in the battles that are out in the world. Come back into the peace. Come back into the love. Back into the light. Know that each week you visit with us. You share with us. You are risen again to go out into the world. But we remind you that when you have your private time. When you have a day when you are feeling high and another day when you are feeling low that all of it can be overcome by tuning in to heaven inside, to your heart, to meditate and sending your light back out into the world. Our love and our peace. Namaste.